Being curious about phishing, we decided to look into the number of domains that mimic banks. Just how many are out there? Well, lots. We did a simple search across com/net/org/us/biz/info top-level domains for common bank names. When someone in, say, Nigeria wants to register a domain name that starts with the name of a well known bank, why are the registrars so willing to let them register it? Some of these are probably perfectly legitimate. Others probably are not...like citibank-account-updating.com, registered last Friday to Ms. Evelyn Musa in Arlington, VA? Today we heard of a rather interesting new Symbian malware application named Flexispy.A. It's a Symbian trojan spy that records information about the victim's phone calls and SMS messages, then sends them to a remote server. What makes this interesting is that Flexispy.A is a trojan spy written by a company for commercial reasons. The company claims that it's a useful tool for catching a cheating spouse. By installing the application on the phone they can monitor to whom the victim is calling and what SMS messages he or she is sending. The company even claims that Flexispy is not a trojan. However, this application installs itself without any kind of indication as to what it is. And when it is installed on the phone it completely hides itself from the user. So the application could easily be used by malware installing it as part of its payload, or a hacker could simply send it to a victim over Bluetooth and trust that there are enough curious people to install it. There are some publicly available 3rd party patches available for the createTextRange() bug. However, we recommend waiting for the official fix from Microsoft. Before the patch is available, one workaround is to disable the Active scripting from Internet Explorer. We've received some reports about the recent unpatched Internet Explorer vulnerability being exploited in the wild. The exploits are based on publicly available proof-of-concept code that exploits the processing of the createTextRange() function. F-Secure Anti-virus detects HTML pages containing the exploit code as variants of Exploit.JS.CVE-2006-1359. Rootkit development has had such a lull in recent months that we were beginning to wonder if the technique had suddenly become passé. The last few days may have changed our opinion. With the discovery of three new cases we are now very curious to see what the future will bring. One of the new cases, Gurong.A, is based on Mydoom code. See our earlier post for more technical details. The other two cases are variants of Bagle. Both Mydoom and Bagle are what we could call 'heavy hitters' in the field. Gurong.A might be based on leaked source code, and may be only a cut and paste job by a new author. No way to really tell. But the Bagle variants have peaked our interest/concern. 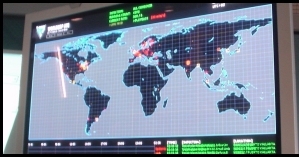 Bagle's authors are currently active and running botnets. They maintain a complex network and it’s a suite of programs that work together. Two years ago Bagle was a simple virus. One EXE file, emailing itself around. It's not like that anymore. The malware suite has been built over time. Now the latest development is that one of the new Bagle variants integrates rootkit functionality. Bagle.GE includes code that uses rootkit features to hide the processes and registry keys of Bagle.GF. We can see here an active example of the parts creating a greater whole. There appear to be bugs in these new Bagles so it’s an early version. But if the Bagle authors have seriously decided to turn their attention to upgrading their malware suite with rootkits, then this first step appears to be a dangerous one and one worth keeping an eye on. 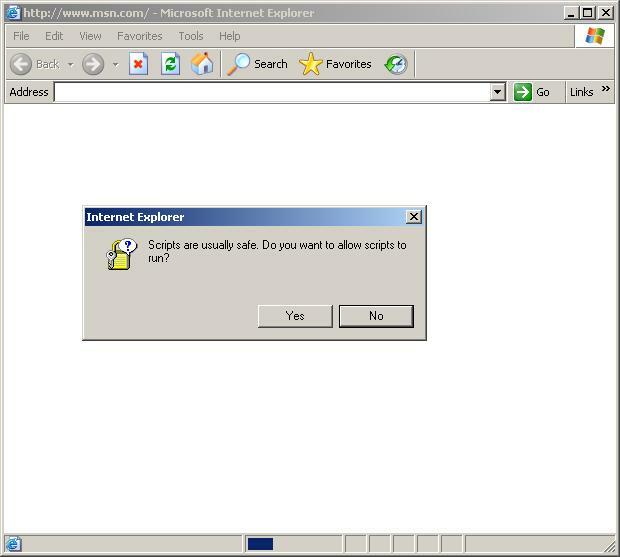 Microsoft has put out a warning on a new, nasty, unpatched vulnerability in Internet Explorer. Proof-of-concept exploits are already out. 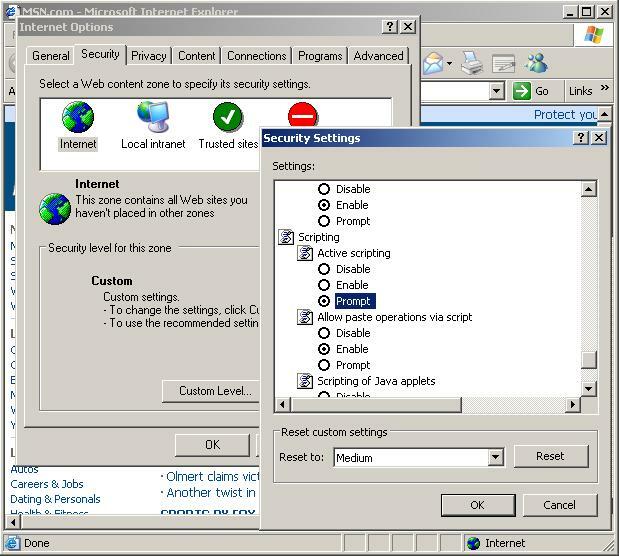 Disable IE's active scripting or switch to any other browser. Not necessarily Firefox - just any other browser. Sendmail - the most common MTA in the net - has a major vulnerability. This one allows remote execution of code. It just might be wormable. Worms spreading via sendmail would be nothing new. We already saw this in 1988 with the infamous Morris Worm. It's probably quite unlikely we would actually see a widespread worm with the current exploit. In any case, it's a good idea to patch now. Yesterday we received an interesting email-worm sample, detected as Gurong.a, that uses rootkit techniques to hide its file, process and launch point in the registry. It is based on the infamous Mydoom code and it is in the wild but currently spreading very slowly. Gurong.a modifies the operating system kernel, specifically the system service table and process object structures, so it is a kernel-mode rootkit. What makes it different from other kernel-mode rootkits we have seen is the way it installs the rootkit payload into kernel. Often malware uses a special purpose driver or the physical memory device to modify the kernel from user mode. For more detailed information about call gates you should have a look at the IA-32 Intel Architecture Software Developer’s Manual, Volume 3A. What this means is that through the call gate Gurong.a can execute parts of its code in privilege level 0 (kernel mode) without adding any additional code to the system address space. This code has full access to the system address space and privileged instructions. For example, the code that hides a process by modifying its object structure is actually part of the wmedia16.exe image (the file name used by the worm) and resides in user address space. As a final note, F-Secure BlackLight is able to find and disable Gurong.a. Andrew Tanenbaum and his students just published a paper on the possibility of self-replicating RFID viruses (PDF). The paper is titled "Is Your Cat Infected with a Computer Virus?". MSNBC also has a story on this. RFID tags, as you may know, are small radio chips that can be placed on inanimate objects, animals or even humans. Once in place, a specialized reader can read the tag from tens of meters away. The technology can be used to track luggage at airports or to automate store checkout systems, among many other things. It's already quite common to tag family pets for easy identification (hence the title of the paper). The paper presents an attack where the tags carry a small amount of data (127 characters) that will infect the RFID reader. More precisely, they use an SQL injection attack against an Oracle database backend that interfaces with the reader. The reader will then continue to infect all new tags it sees. Luckily, this is currently only a proof-of-concept attack, even though it's a scary idea. As a side note, did you know that RFID tags are also used to fight />=3 the H5N1 avian influenza? I bet the clever people who thought of that never saw this one coming. SubVirt is a new proof-of-concept rootkit created by Microsoft Research and the University of Michigan. The idea is to install a rootkit that inserts itself at a lower level than the OS and then give the user a virtual machine environment that if successful, looks just like their own. An inexperienced user then might never realize that they aren’t really in control, and all of their software defenses might not realize it either. Why is Microsoft building a better rootkit? We aren’t too sure, but to paraphrase this eWeek article published on the 10th, Microsoft hopes to use the perspective of the attacker to better understand the needs of the defender. It sounds to us a bit like the scientists that were researching nuclear fission without really thinking about the final use for the bomb that they were helping to build. In any case the concept isn’t entirely new. In 1993, PMBS was discovered, a stealth virus as they were termed at the time. PMBS was a boot virus that traveled via infected floppy disks. Once it infected a machine, it copied itself into extended memory, switched the computer into protected mode and ran virtual V86 machine. DOS and other applications where then run from that virtual PC. The first 50 persons to send their mailing address to: nerds [at] f-secure [dot] com, will receive a free sheet of stickers in the post. Update to add: You can stop sending the mails now, we have more than enough already. Thanks to everybody who emailed us. We also got nice comments like "I find it funny that to get a sheet of stickers about scams, I have to send some random person my mailing address". Your stickers are in the mail buddy. Also, one of you (and you know who you are) sent his mail quite late but changed his computer's clock back by two hours before sending the mails. Nice try. We'll send you two sticker sheets for the effort. It's that time of the year. The annual CeBIT fair will start tomorrow in Hannover, Germany. CeBIT is by far the largest technology fair in the world. We're in Hall 7 (stand D14). This year there's something interesting going on during the fair: a football champion league is being played. Between antivirus companies. With table football. Here's the full tournament schedule and here's more info. Yesterday we received a quite interesting sample, a hexedited version of Commwarrior.B that has all texts translated to Spanish. Modifying samples with hexeditor is not anything new, we have seen that a lot with the Cabir family, and most of the Cabir variants are modified variants of Cabir.B. In the industry lingo we call such malware authors "hexedit idiots". The modified sample was already detected with F-Secure Mobile Anti-Virus using generic detection. We have named the sample SymbOS/Commwarrior.D and the exact detection was added into mobile database build 74. Don’t know what Microsoft Infopath 2003 is for? Neither did we until we took a look at the product’s demo page at Microsoft. The product allows for the creation of dynamic forms and data collection within an organization. The example used in the demo is expense reports. 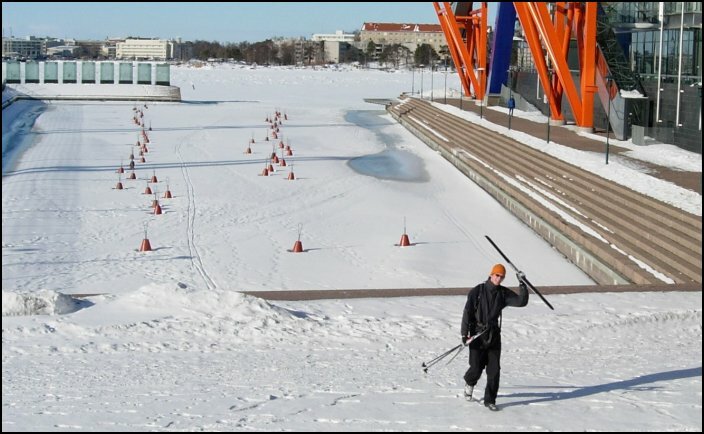 What caused us to go look? Well, it is now a new platform for a proof-of-concept virus. The writer of Icabdi.A has determined a way to insert code into the .xsn files used by Infopath. Icabdi.A doesn’t really do any harm, it only displays quotes, but it is of interest as the first of its kind using this platform. We're proud of our fast response times in stopping new viruses. That's why we're especially happy with the excellent results in AV-Comparatives.org's latest test (On-demand comparative / February 2006). It’s the 3rd of the month and so the Nyxem.E worm has another opportunity to activate and overwrite data files. Nyxem didn’t do that much damage last month and the statistics don’t look to be that bad this month either. The only country in the world that seems to be affected in any serious manner this time around would be India. If you look at Nyxem.E infections we've spotted in India yesterday via our Virus World Map, you'll see infection reports from places like Calcutta, Mangalore, Hyderabad, Bombay, Bangalore, Jaipur and New Delhi. But in any case the activity is lower than last month. So hopefully fewer computers in India will actually be damaged this month than last. Greetings from Blackhat Europe 2006. As before, Blackhat Europe is being held in the Grand Hotel Krasnapolsky in Amsterdam. The quality of the presentations has once again been very high, and there have been many great presentations shedding light on new problems. For example, Mikko Kiviharju's presentation on just Why Microsoft's Fingerprint Reader Is Not a Security Feature (links to PDF) was quite interesting and chilling at the same time. 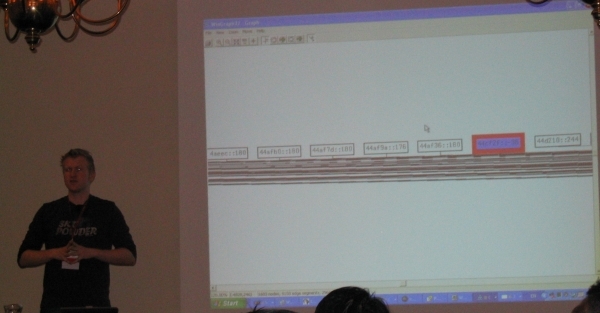 In the picture we have Halvar Flake giving a presentation on Attacks on Uninitialized Local Variables (links to PDF). The author of the Hacker Defender rootkit has announced that he will stop offering the so-called antidetection service, which promised to hide the rootkit from anti-virus products and even from rootkit detectors such as F-Secure BlackLight. The service, priced at several hundred euros, was on sale on the author's web site for more than a year. We mentioned the antidetection features in Hacker Defender in our previous blog entry. It is a good thing that the "official" Hacker Defender anti-detection service is out of business. However, since Backdoor.Win32.Hacdef is an open-source rootkit, we will most likely continue seeing private builds of it also in the future. We've been looking deeper into the RedBrowser trojan and have found that it uses just the standard MIDP 1.0 API and the optional CLDC 1.0 WMA package (Wireless Messaging API). Sun has a helpful list of J2ME phones and the version of the Java software installed on each. So, among the older J2ME/Java supported phones that we have tested, none have been vulnerable to Redbrowser. 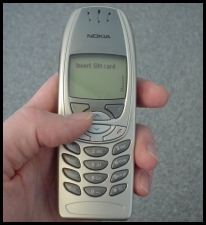 The Nokia 6310i for example does not have the optional WMA support and the even though the Siemens SX1 has all of the needed software components, RedBrowser still doesn’t work on it.